During the early 17th century, formal neckwear such as ruffs and starched collars needed support. Flat collars and the wide circles of gathered linen that made up ruffs had to be held up at the back of the neck in order to frame the face properly. 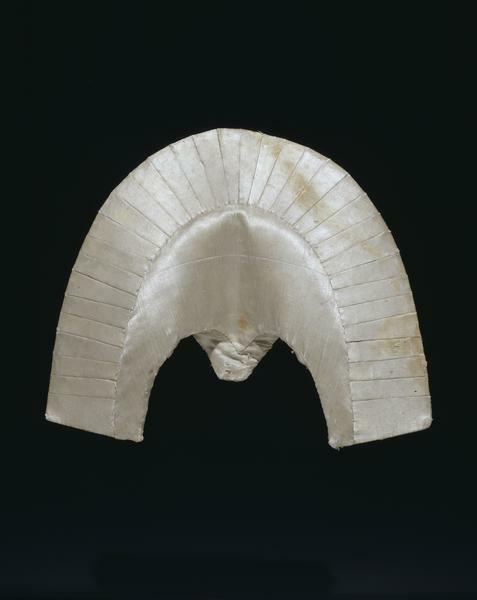 Theses supporters were called a range of different names: ‘supportasse’ (a French term), underpropper, pickadil or rebato and made of a variety of materials, such as whalebone, card and wire. This example is made of pasteboard shaped over a last, padded with wool and covered with shaped strips of satin. The two holes on the underside allowed the supportasse to be laced to the back of the collar of a gown or doublet. A ruff or starched collar was then pinned on top. 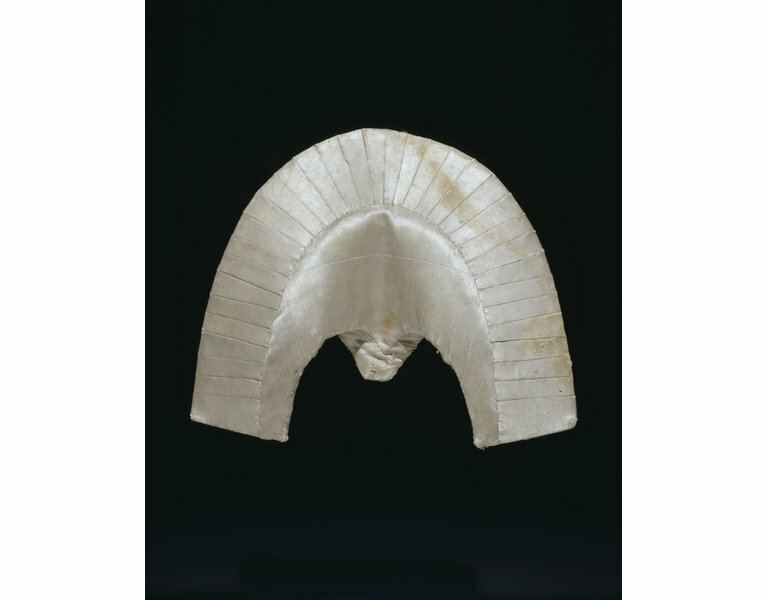 The supportasse is made of moulded pasteboard, cut in a U-shape and shaped underneath to fit the neck. The underside at the back has two unworked holes. The upper inside edge is padded lightly and the whole covered with ivory-coloured satin. Around the outer edge, the satin has been cut and sewn in strips to fit the curving shape. The underside is bound with narrow ivory-coloured grosgrain ribbon. Purchased as part of the Isham collection from Captain Charles Vere in 1899. 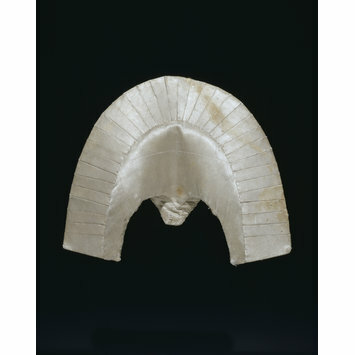 One of a variety of different types of support for starched ruffs and bands in the late sixteenth and early seventeenth centuries. These were tied or secured to gowns at the neck and the linen neckwear sat on top.